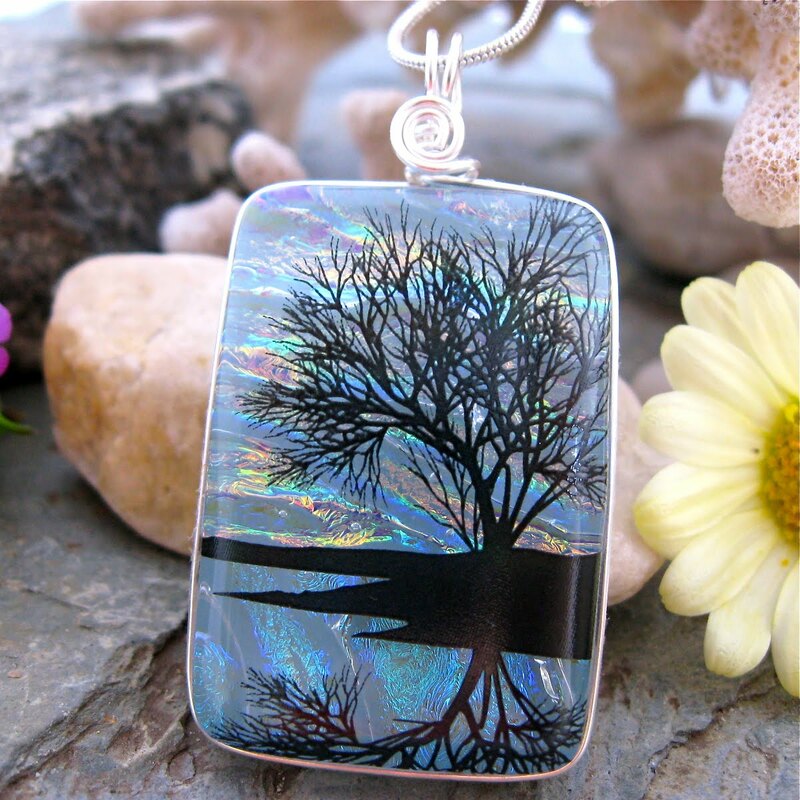 This gorgeous Tree Reflection Pendant is my Prize Pendant this month! 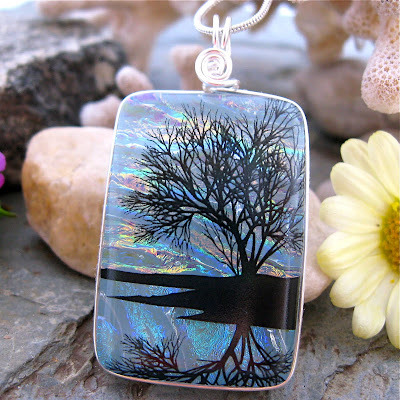 A black enamel Tree Reflection scene floats over layers of beautiful dichroic glass. And I have securely wrapped the glass with non-tarnish silver wire.. There are colors and a look of depth that the camera cannot capture...it really is stunning! 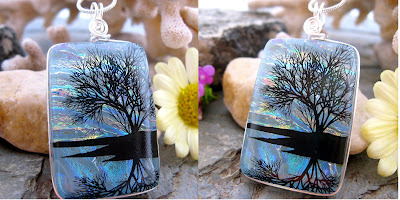 Every on-line purchase from me during September from my Etsy shop gets you an entry into the draw for this fabulous pendant ! The drawing will take place on the 1st October, and I shall be using random.org to find the winner.